Dr. Christopher See is an experienced university applications tutor, helping students in all areas of their Oxbridge application in a range of diverse subjects. 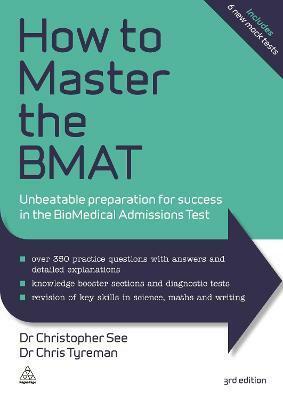 He is also the author of How to Get into Medical School, Succeed in your Medical School Interview and How to Master Your Medical School Finals, all published by Kogan Page. Chris Tyreman is a practising nurse who has taught numeracy and literacy skills to adults via distance learning and evening classes. He is the co-author of How to Master the UKCAT and the author of How to Pass the QTS Numeracy and Literacy Skills Test and the best-selling How to Master Nursing Calculations, all published by Kogan Page.